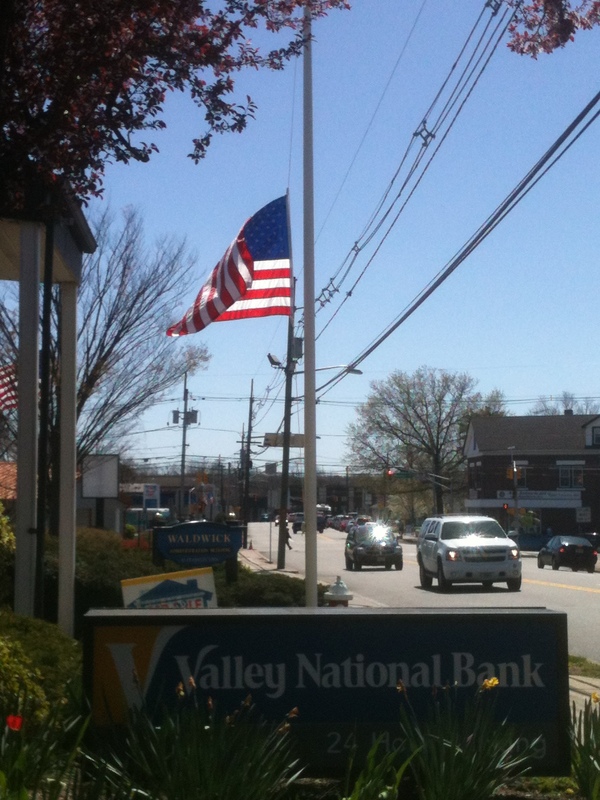 On March 6, I had written about my dismay at seeing a flag tied around the flag pole at my mom’s bank. Well, I am happy to report that the string on the flag pole has been fixed. However I am very sad to report that today that flag is flying at half-staff for a young Marine that was killed in Afghanistan. Today the town of my childhood welcomed home a hero. I have a personal connection to that young Marine’s family – his sisters took dance from me. And my heart breaks for his family. I can not begin to understand what it feels like to lose a child. I have never lost a child. It has been said that we have words to describe a person that loses a spouse – widow/widower and we even have a word for a child that lose their parents – orphans. But there is no word for a parent that loses a child. It is truly the wrong order of things. Parents should never bury their children. I do know what feels like to have people tell you your loved one was a hero. But I remember vividly my daughters commenting after September 11 that they understood that people saw their dad as a hero but to them he was just their daddy. I guess what I want to say is as a nation we lost a hero but his family lost their son, brother, grandson, uncle, nephew and cousin. I think in some ways it is easier for us to think of this young Marine and all those who have been killed in the line of duty as heroes because then we don’t necessarily have to think of them as someone’s son or daughter. May we remember to pray for those who serve in our military because every solider is someone’s son or daughter. God bless America.